I t’s opening week in the Canadian Football League and like all teams at this time of the year, the BC Lions are hoping their off-season moves will result in a trip to Edmonton come November. The Lions are coming off a disappointing 8-10 campaign that saw them sneak into the playoffs through the Eastern Conference crossover. A victory over the Hamilton Tiger-Cats in the conference quarter-finals had the Leos one win away from a trip to Calgary and the Grey Cup, but the Montreal Alouettes had no intentions of letting a western team represent the east and demolished the Lions in embarrassing fashion at Olympic Stadium to end their sub par season. Let’s take a look at how the Lions have adapted to last season, and how they are stacking up heading into opening day, July 4th in Edmonton. The bitter defeat and the poor season left a sour taste in the mouth of coach and general manager Wally Buono, and the man in charge not only examined his team, but himself as well. For the first time in years, Buono cancelled his annual vacation to Hawaii, and also sought out the advice of trusted friends such as team scout Roy Shivers, who told the CFL’s most successful coach that he needed to trust his assistants more and let them do their jobs. Buono began the restructuring of his club with the coaching staff. He declared Jacques Chapdelaine his sole offensive coordinator, abandoning the shared duties Chapdelaine split with Dan Dorazio last season. 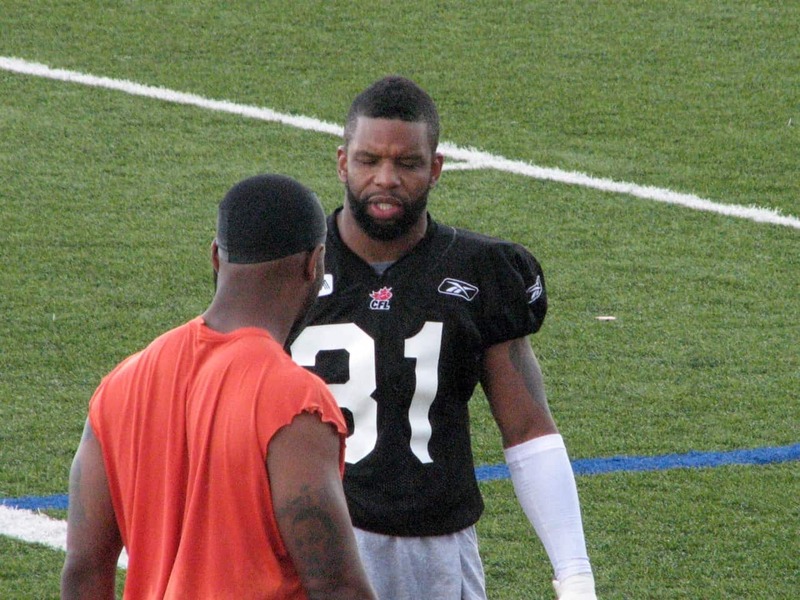 Chapdelaine will also coach the quarterbacks, and will give the receivers title to newcomer and former Stampeders star Travis Moore. Dorazio will focus solely on the offensive line again, and area where the team must get better in 2010. On the defensive side of the ball, Mike Benevides remains defensive coordinator, but has replaced defensive line coach Mike Roach with the defensive genius of Rich Stubler. Barron Miles joins former teammate Mark Washington to handle the secondary, while Benevides will also take charge of the linebackers, which were a major source of concern last season. Buono’s self-examination last season left him with the notion he needed to let his coaches coach. The clarification of duties among his assistants this season should help, and he has vowed to let them execute their schemes and philosophies. The other change Buono would like to see is in the work ethic of his team, during games and during practices. This years training camp was physical from day one and the boss wants the team to practice more intensely this year in hopes that the product on the field becomes more physical. Of course much of that will depend on the personnel, so let’s move on and look at how the team heads into the season. The BC Lions brought in Casey Printers during the 2009 campaign out of necessity, and some would say fate. He starts this season as the undisputed starting QB of the BC Lions, the team where he’s had his only real success as a professional player. The offense has been built around his skill set, and now is the time for Printers to take control of it. Printers has said all the right things since returning to BC. How it’s all about the team, and all pulling in one direction. He had success last season, but there were some hiccups, and not enough wins. He got the Lions a playoff win in Hamilton, but struggled as did the whole team in the Eastern final after injuring his thumb in the final game of the season. An argument can be made that he still has much to prove and until he gets a few wins under his belt and starts to get this offense clicking, the questions will remain. There are some that would argue Travis Lulay was the better QB in pre-season, but we’re not going there…yet. Backup and part-time starter Jarious Jackson is coming off shoulder surgery and as of training camp was still not 100% but thankfully as we mentioned, Travis Lulay has had a strong preseason, and looks to be on track to possibly slide into the backup role. If Printers returns to form, the Lions are likely the deepest in the league at QB. The trick will be to keep them healthy. Lulay has really taken strides, and with a full off-season and training camp under his belt should have a much better understanding of the Canadian game. The comparisons to a young Dave Dickenson, may not be far off. The Lions went through five quarterbacks last season, and while not all of those injuries can be blamed on the offensive line, it’s clear that can’t happen again if the Lions hope to have success this season. The club sent tackle Jason Jimenez packing after philosophical differences, and hoped to address the tackle spots in the off-season. One move was to move Sherko Haji-Rasouli to the right tackle spot, the position he played in college, but with a preseason injury the Lions will likely start the season with Jon Hameister-Ries in his spot, and Dumane Duckett on the left. Second year player Justin Sorensen has not grabbed hold of the opportunity in practices leading up to opening week and will likely move back to guard, or assume another backup role to start the year. In the middle Dean Valli assumes the starting centre role held for eight seasons by Angus Reid, who will backup. The remainder of the line is still a work in progress with Andrew Jones, Jovan Olafioye, Dane Randolph all competing for spots, while Adam Baboulas starts the year on the practice roster. The Lions will hope this new group gels early, but it’s rare offensive lines do. It will likely take a few games before they settle on a starting five, meaning Casey Printers will need to be at his elusive best to start the year. Players to watch: The whole offensive line. When a team loses it’s starting running back, and in the case of the Lions the CFL rookie of the year in Martell Mallett, it’s a priority to address the loss. The Lions may have done more than that, as they appear to have some solid talent assembled to carry the ball. The off-season free agent signing of veteran Jamal Robertson gives the Lions a solid starting back, and a threat to catch the ball out of the backfield. Add to the mix last years first round pick Jamall Lee, newcomer and junior phenom Andrew Harris and the Lions could have a very potent stable of backs. Fullback Jerome Messam also had a good camp, and will see reps, possessing a style similar to that of former Lion Sean Millington. It may be a job done by committee and the club has already indicated they may try Andrew Harris as a receiver. They also have newcomer Yonus Davis on the practice roster, who had a decent camp. Davis is a smallish, shifty back, and may get a chance to return kicks at some point. Receiver is probably the most solid position on the club heading into 2010. Geroy Simon, Paris Jackson, Emmanuel Arceneaux and O’Neil Wilson return to anchor the core. They’ll be bolstered by the addition of veteran Derrick Armstrong, who is attempting to get his career back on track after knee problems and the infamous blow up in Winnipeg last season with coach Mike Kelly. Second year player Terrence Scott has speed to burn and could be a factor, and the Lions have Steven Black and draft pick Akeem Foster developing on the the practice roster. Another new addition, Robert Jordan, will start the season on the roster as the kick returner, but will be replaced quickly with the likes of Yonus Davis should he falter. Matt Chapdelaine, son of offensive coordinator Jacques Chapdelaine was drafted in the last round of this years draft and will practice with the team. 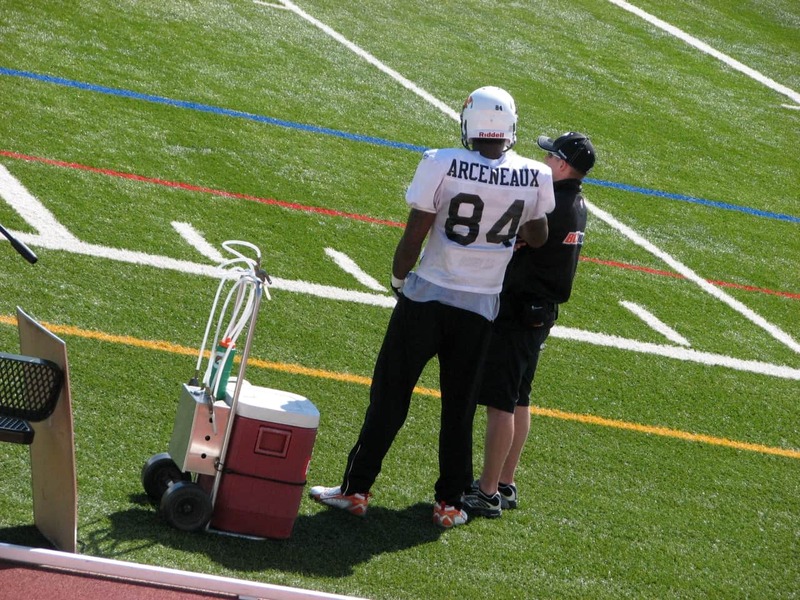 The Lions should get good production here, and our pick of the man to watch on 2010 is Emmanuel Arceneaux. Arceneaux has all the tools to be star in this league, and has worked diligently this off-season to be even better than he was last season as a rookie. There are many that feel that with a strong season this year, Arceneaux will earn himself a good look in the NFL, which is even more reason to expect a big year from him. The status of Paris Jackson is unclear heading into game one, as he’s having fluid build up on a knee that he injured last season. Jackson admits he tried to come back too soon last season, and as a result he’s been setback by the injury coming into this season. He returned to practice this week, but his status for Sunday is questionable. Combine this talented group with the fact the Lions would like to be an attacking team through the air and this season has the potential to be an impressive one for the air attack. The Lions have led the league in sacks the last two seasons. But also for the second straight season they have lost their sack leader to the NFL. First it was Cameron Wake, and now it’s Rickey Foley. Nevertheless, there are some positives coming into 2010 that should have the Leos aggressive once again on the defensive line. 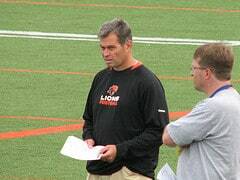 Perhaps more than any player addition, the club added defensive guru Rich Stubler to replace the departed Mike Roach. Stubler’s defenses have always been aggressive and innovative and the this should project to the line this season. The Lions are also going to rotate players in more this year, giving mainstays like Brent Johnson breaks, keeping them fresher over the course of a game and the season. Keron Williams arrives from Montreal and will assume Foley’s end spot, and is excited at the chance to play the position. Aaron Hunt arrived for camp slim and ready to roll, which should help him get off to a good start. Jeremy Gibbs also dropped 30 pounds heading into this season in an effort to be leaner and faster. Rumblings were that he may be in trouble in favour of newcomer Dominie Pittman, but an injury to Steven Williams likely means he stays in the lineup at least to start the year. Other newcomers are Montrell Craft and Richard Jones. Jones will begin on the practice roster. Like the offensive line on offense, the Lions need much better production from their linebackers in 2010. The Lions struggled against the run at times last season and when they did it was brutal. Javier Glatt was released and moved onto Edmonton after he was told he would have to accept a reduced role to remain a Lion. It was a move he accepted with class last season, but was unwilling to assume this year. The Lions were hoping free agent Dennis Haley (Hamilton) would be the answer, but he was cut after some solid performances from the player to watch in this group, Joe Henderson. The club is also high on Solomon Elimimian, who missed much of camp with an injury, which tells you just how impressed the coaches were after seeing him at rookie camp. Anton McKenzie will anchor the group, and has been moved to a middle linebacker role and looked good playing their in the preseason game against Edmonton. James Yurichuk will also see some downs and will once again play a key role on special teams. The Lions will once again deploy a two linebacker set for the most part and will bring Korey Banks in as a nickleback in certain situations. This formation wasn’t hugely successful last season, and if the personnel isn’t improved, it’s questionable whether it can be this year. Again this should be an area of strength for the team. They lost safety Barron Miles to retirement and concerns about the hole he left have been nicely filled by non-import Tad Crawford thus far in training camp and the preseason. Crawford learned from the master and looks ready to assume a prominent role. Dante Marsh and Davis Sanchez will man the corners, while Korey Banks and Ryan Phillips will be joined by Stanley Franks, Hamid Mahmoudi and Anthony Reddick in the roster to start the year. There is also Jason Arakgi and J.R. LaRose in the safety spot and they may rotate in for Crawford in certain situations. Trestin George , who won a job last season from Lavar Glover has been placed on the injured list, and draftee Cauchy Muamba starts on the practice roster. Just before we posted this, it was announced by Lowell Ullrich of The Province that Paul McCallum had one the kicking job after a battle with Sean Whyte that lasted until the week of opening day. The veteran kicker probably won the job based on his punt placing ability, but it was by a narrow margin no doubt. Both kickers looked string in camp, and while Whyte likely has the stronger leg, Buono has opted for experience. Ullrich has reported the Lions will keep both kickers on the roster, meaning Whyte could handle kickoffs. The return game will be a work in progress as both Ian Smart and last years returner Ryan Grice-Mullen are no longer with the team. Robert Jordan slots in to start the season, but will have to do better than he did in the preseason to keep the job. Other possibilities could be practice roster player Yonus Davis, or perhaps speedy Terrence Scott. Jason Arakgi, last year’s special teams player of the year, and James Yurichuk will once again be front and centre on kick coverage. Just one thing here…Empire Field. If the one exhibition game was any indication, fans are going to have a blast and make a lot of noise in their new temporary home, giving the club a nice home field advantage to work with. With names like Orange Thunder already being tossed around to describe the sound of fans stomping on the aluminum based bleachers, the return to their roots is going to be a pain for opposing QB’s. The Lions have had a lot of turnover and could struggle out of the gate as certain teams and schemes gel. After an 8-10 season the club needs to rebound and once again contend in the West. The division will be neck and neck again, and we think the Lions can contend. A 10-8 record sounds about right, and you can expect the Lions to have a stronger second half of the season than the first. With two big games to start the year against Edmonton and Saskatchewan, the Lions cannot afford to go 0-2 and fall behind the pack if they hope to contend for a division title. Whew! Are you ready for some football yet? I hope you enjoyed our preview and we’ve given you some information heading into the 2010 season. Follow us on Twitter for all the latest and relevant BC Lions news at http://www.twitter.com/BCLionsDen!